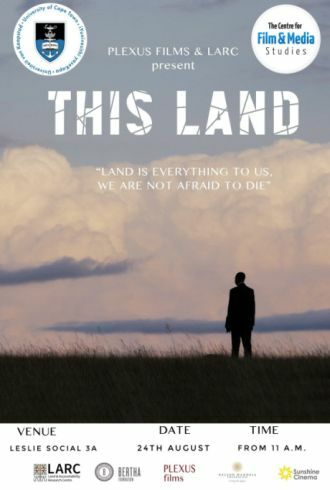 University of Cape Town’s Centre for Films and Media Studies (CFMS) in collaboration with Plexus Films and LARC invites you to a special screening of This Land documentary film on the 24th of August in Leslie Social Building, Upper Campus at 11am. This Land is a powerful 48-minute documentary, about a small village, as they oppose the development of a mine and assert their right to the land on which they live. Over the last two months the film has been part of a national dialogue on land rights and structural inequality. Mbhekiseni Mavuso (featured in the film) and Miki Redelinghuys (The filmmaker) will be present. Samkelo Donisi (Sunbox Ambassador and UCT TV Studio Impact Producer) will facilitate the dialogue.